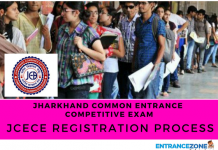 DTE announces Chandigarh Polytechnic Admission 2019 Registration Dates. The Industrial Training Institute, Chandigarh Polytechnic will be releasing the official Notification for Centralised online Polytechnic and all the courses it provides in the various Polytechnics for the year 2019-2020. Admission to courses in Diploma in Modern Office Practice, Diploma in Pharmacy and Diploma in Interior Design & Decoration is done by the Principal, Govt Polytechnic for Women, Chandigarh as per dates announced by the PSBTE & IT, Chandigarh. The Notification will be issued on the official website of the Directorate of Technical Education U.T Chandigarh. Chandigarh Polytechnic admission gives privilege to the students to opt for Automobile Engineering, Mechanical engineering, Electronics and communication Engineering and Civil Engineering. The institute aims at functioning ceaselessly with a global vision to fulfil the industry demands. It aims for an overall development of a candidate so that they can expand their horizon and work on multidimensional fields. An overall growth of every candidate is taken into consideration and to not make it a monotonous process, various cultural activities are included as well. Read more about Polytechnic Diploma Admission 2019 Here. Counselling Rounds: There will be a total of two rounds in counselling. first round of counselling will tentatively start from Second week of June 2019. Note: For Admission to Regular and Part Time Diploma Courses (Except Pharmacy & Modern Office Practice) in Technical Institutions of Punjab State and Chandigarh, Apply Here. 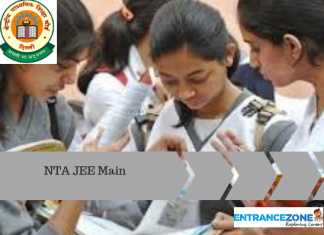 The qualification criteria are published by DTE, Chandigarh. 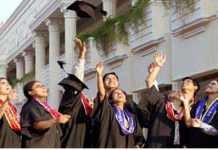 For admission into Diploma Engineering Courses (Lateral Entry) – Candidate must have passed 10+2 Science from Board Recognised by Central/State Government with Vocational/ Technical Subjects OR 10th from a Board recognised by Central/ State Government with 2 years ITI with specialisation for admission to second year Diploma courses. For two year Diploma Course in Pharmacy– Candidate must have passed Intermediate examination in Science with Physics, Chemistry and Biology or Mathematics OR Any other qualification approved by the Pharmacy Council of India as equivalent to any of the above examinations. Candidate must have attained the age of 16 years on or before 31 December of the year of admission to the Pharmacy Course. Three year Diploma Course in Modern Office Practice– Candidate must have passed 10+2 with or without Science. Admission to a diploma in PHARMACY is also done through online counselling by PSBTE &IT on the basis of merit of (10+2 ) Med/Non-med marks. Download Prospectus released by PSBTE for more detailed information here. How to fill the Chandigarh Polytechnic Admission 2019? Visit the official website and go through the application form. Go through the instructions and fill the form. The Official website is www.psbte.gov.in. The applicants need to submit a separate online application for Chandigarh College of Engg. and Technology, Sector-26, Govt. Polytechnic for Women, Sector-10 and S.G.G.S. Pharmacy College, Sector-26, Chandigarh. Fee can be paid through Debit/Credit Card (VISA / MASTER / Maestro cards/ net banking). There are three basic prerequisites for the exam i.e, Mathematics, English and Science. You may expect basic 10th standard questions and students are expected to have a hands-on knowledge on the educational course they had studied. Physics, Chemistry and Mathematics are also included so a fair knowledge of the mentioned domain can be helpful. The paper consists of objective type questions and there is negative marking for every wrong answer. You may expect General Aptitude questions based on what you have studied. Applicants will be notified when the admit card is made available online and they can download it from the official website. Students will be notified once the results are out and they can check the same by providing their hall ticket number. If the candidate has cleared the test, he can opt for the desired course according to the cutoff. Following are the courses offered by Government Polytechnic College for Women, Chandigarh. Or any other examination approved by Pharmacy Council of India as equivalent to any of the above examination. The Government Polytechnic for Women was established in 1962. Sector-10 Chandigarh India, the educational belt of the City Beautiful. It has an art of infrastructure buildings equipped with the most modern infrastructure. This women polytechnic institute has a fully qualified and efficient staff and caters to the training needs of not only Union Territory of Chandigarh but also for the States of Punjab, Haryana, Himachal Pradesh, Jammu & Kashmir and Uttranchal etc..